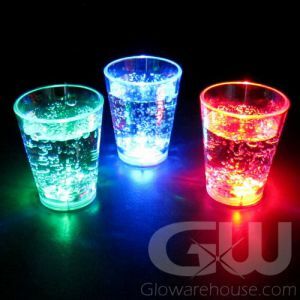 - Super Fun Light Up Shooter Glasses! - 1 1/2 oz Classic Shooter Glass! - 2 Flashing Settings + Steady Light! - Night Club Promos! Bars! Parties! Shots! Shots! Shots! 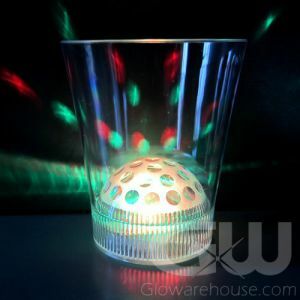 Simply pour in your favorite shot or go big with some crazy shooter recipe you've just made up on the spot, press the button on the bottom of the glass and now watch it glow! 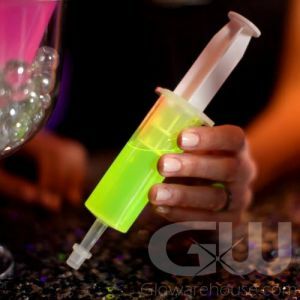 Glow in the Dark Shooter Glasses are the perfect light up accessories for night clubs, bars, beach parties, backyard bbqs, the pool - just about any party imaginable! 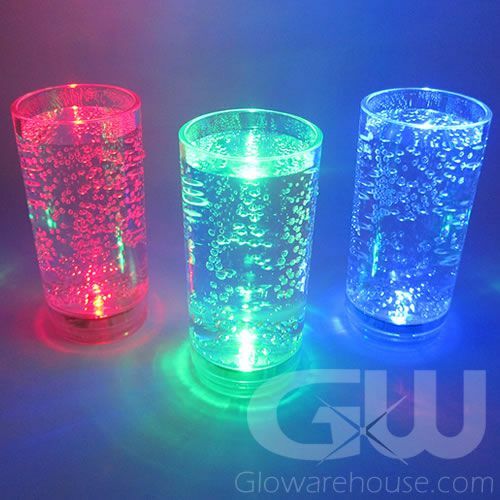 The 3 Mode LED Shooter Glass is a push button activated 1 and 1/2 oz shot glass. 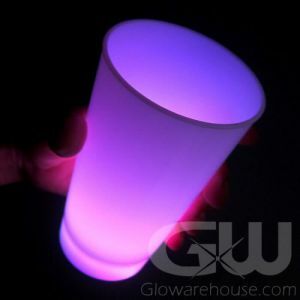 These glowing shooter glasses have 3 light modes, a steady light, a quick flash or a slower strobe mode. Select which mode you like by button on the bottom of the glass until you get to the setting you want. 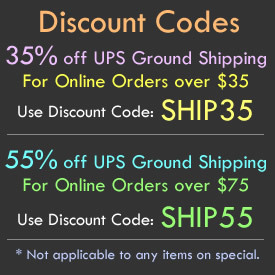 Batteries are pre-installed and the light up shooter glasses are made with food-safe grade acrylic plastic. 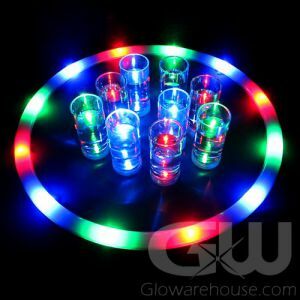 So light up the party with LED Shooter Glasses from Glowarehouse.com today!